Desert Springs Renovations has been providing top of the line Pool Products for Las Vegas since 1994! With the help of Desert Springs Renovations and our top of the line Pentair Pool Products, transform your personal piece of paradise into a crystal clear sanctuary. Whether upgrading or buying for the first time, your pool equipment can make a tremendous difference in your swimming pools performance. Desert Springs Renovations offers the most Eco-Energy Efficient products at competitive prices. 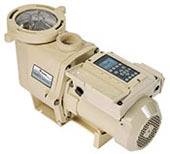 From the most advanced multi-speed pool pumps to the newest LED pool lighting, we offer it all. When buying new equipment for your swimming pool, you want peace of mind knowing you have the highest quality and most efficient pool equipment and that is exactly what we offer. 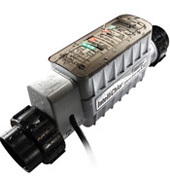 Pentair Pool Products have been in the business for nearly 50 years and incorporate hydraulic engineering in all their pumps to circulate water in the most efficient manner possible. With they're latest in breakthrough efficiency Pentair pumps not only work quieter then the competition but also offer variable speeds. 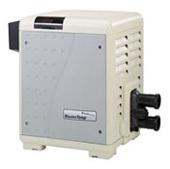 Thanks to the convenience in Pentair's design features routine maintenance has never been so easy! We've tested their pool pumps for years, now you can rest assured knowing your pools filtration system is in good hands. IntelliChlor® Salt Chlorinator uses common table salt to produce all the chlorine a pool needs, safely, effectively, and automatically. 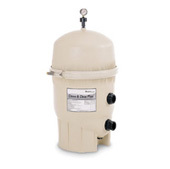 It offers the same sanitation performance as manual chlorine addition without the drawbacks. No need for customers to buy, transport and store chlorine compounds. NeverLube Valves are designed and engineered to be totally maintenance free. They are easy to install and easy to use. We use the best materials and best design for the ultimate combination of structural integrity and hydraulic flow. Sheer Descent Waterfalls Add Beauty And Life to Your Pool — Day and Night! Sheer Descents can produce a wide range of water effects and can easily be adjusted to suit any mood or environment. Sheer Descent Waterfalls are available in lengths from eight inches to eight feet, including curved and extended lip models.